In short: We are getting our sales organization ramped up. Here we introduce you to some members of our sales team. 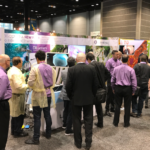 Join us at #DDW17 in Chicago, at our booth, love to say hi to you. This entry in German here. 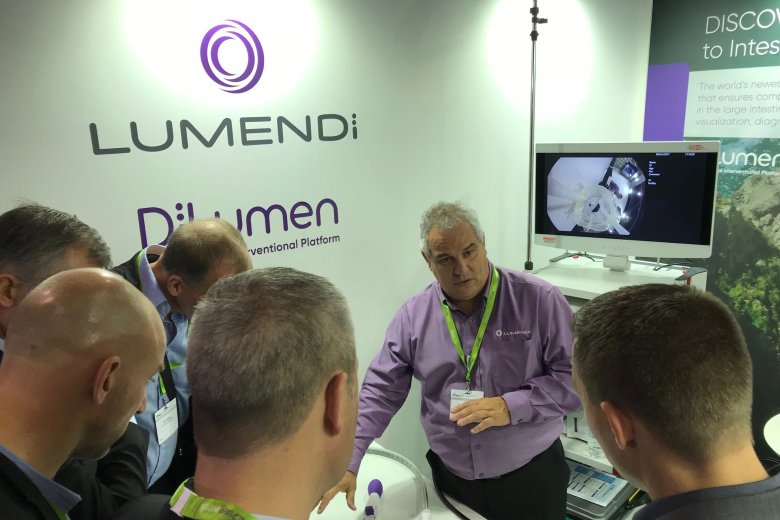 In our last blog entry –SAGES 2017 Meeting: A first for Lumendi – we told you about how things went, whilst we exhibited at SAGES in Houston. As planned, we wanted to use SAGES and the experiences we gained, to get a feel how well we are doing. As importantly, we wanted to learn what we could do better. Of course, this was all done in the hope to improve our message for clients and visitors to our booth. To share the insights we had gained at the SAGES event within our organization, we organised a training session during April 4 to 6. This session was held in the US at Lumendi LLC headquarters. Of course, this training and sharing of insights amongst team members was also done in preparation for the #DDW17 i.e. the Digestive Disease Week 2017. #DDW17 will start this Saturday (May 6) and run until Tuesday (May 9) in Chicago. 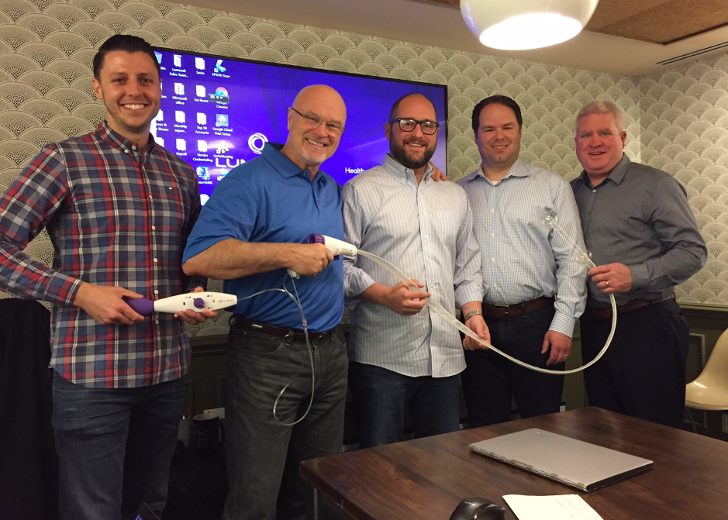 Based on our experiences from SAGES 2017 we wanted to keep our sales team abreast the latest developments. We also felt that such a team exercise would help us to further streamline our sales channels. In turn, we would be more effective and ramp up more sales in the coming. But before you attend an event like the DDW17, you want to get a feel how well you are doing. 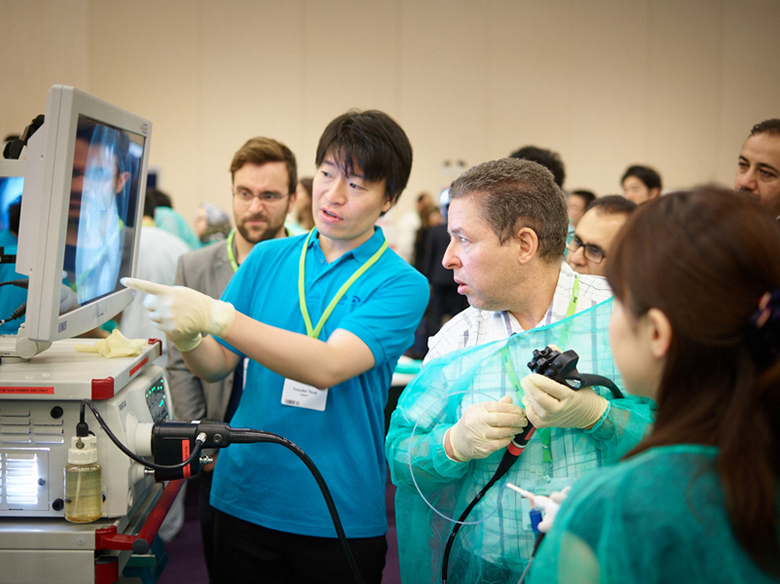 During these days (April 4 – 6) our experts explained our technology. Of particular, our staff needed to get the latest about how a gastrointestinal device could be used with DiLumen technology. Of particular interest was to show sales staff how the gadget works. Most important was that they again were asked to conduct exercises in order to get familiar with the technology and become more familiar in using it. As well, our team discussed marketing topics as well as our sales and marketing plans, upcoming conventions besides DDW17 we would attend, and so forth. Below we give you a short introduction to the sales team members. Joe Erfort is a sales executive with more than 10 years of experience in the healthcare industry. His roles have focused on gastroenterology, respiratory and minimally invasive surgery. Mr. Erfort spent 9 years at Olympus America as an Account Manager for GI capital and GI disposable products. He was also a Regional Sales Trainer for Olympus Energy products. While at Olympus, he was honored as the Sales Representative of the Year. He also won multiple President’s Club awards. One of his most impressive accomplishment was achieving a 400% sales growth in his first three years. He was also promoted to the role of Endoscopy Account Manager. Most recently, Mr. Erfort took a role with the medical start-up, NeuWave Medical. In his role as Territory Manager, he focused on minimally invasive microwave ablation in Interventional Radiology and Surgery. In his brief tenure with NeuWave, Mr. Erfort was awarded as a 2016 Quota Buster. 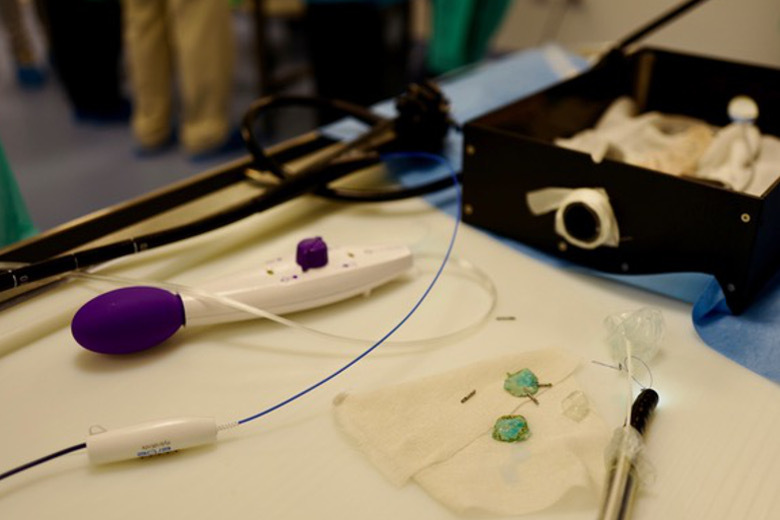 NeuWave was recently sold to J&J’s Ethicon Division. Mr. Erfort lives with his family in Orange County, California and received his BA from San Diego State University. Scott Connolly is a proven sales professional with 25 years of experience in medical devices. Scott has spent the last 15 years with five start-up medical device companies, launching new technologies for minimally invasive surgery. 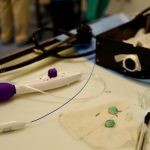 He has helped launch and has sold devices across surgical specialties, but his primary focus has been in Colo-Rectal Surgery. He has served various positions of Account Manager, Area Sales Manager, National Sales Trainer, and Regional Sales Manager. Scott has earned the honor of “Top Sales Representative of the Year” five times in his career. Scott spent the early years of his medical device career with Valleylab, Inc. His passion for launching new technologies developed when Valleylab introduced the LigaSure™ vessel sealing device in 1998, a true paradigm shift in ligation of vessels during surgery. High energy and passion to help change the way patients are treated remains his focus. Sean O’Hara is a sales professional with 10 years of experience in gastrointestinal disposable devices and capital equipment. Sean spent his early years with ConMed Endoscopic Technologies as a territory manager. 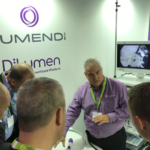 While at ConMed, Sean was responsible for launching the first ever fully covered metal biliary stent. 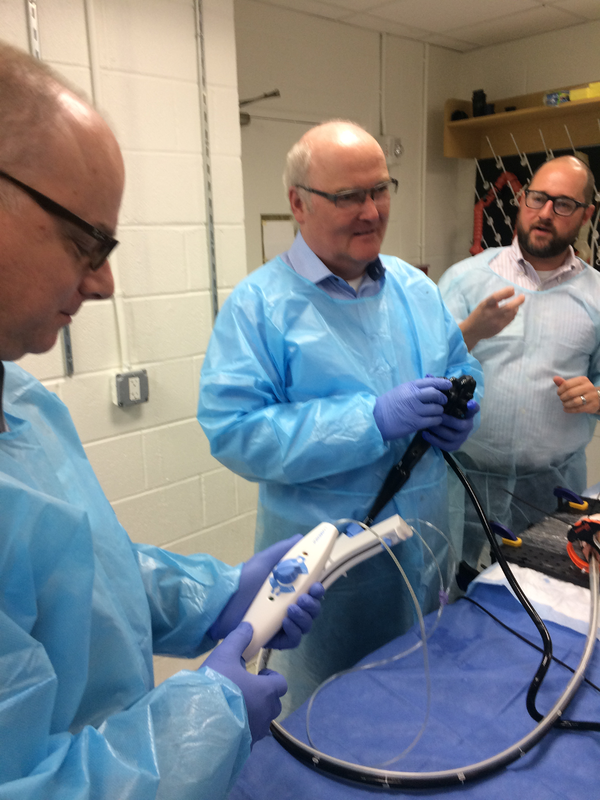 Sean also successfully launched ConMed’s Beamer system, a full-on electro surgical unit as well as argon ablation. In this position, Sean was also a recipient of the prestigious President’s Club Award. Most recently, Sean was hired as a territory manager at the medical start-up EndoChoice. 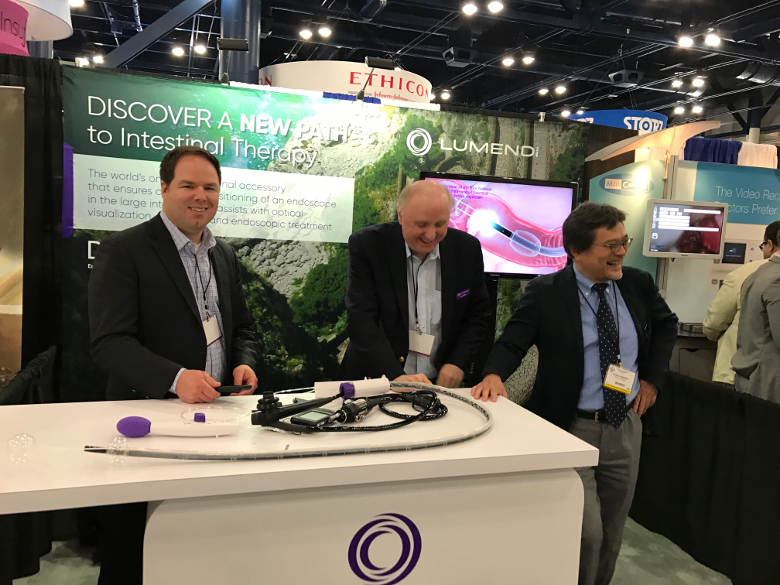 EndoChoice focuses on a portfolio of GI disposable products, a GI pathology service and the FUSE Imaging System, a revolutionary endoscope system that visualizes a full 330 degrees of the colon. Sean was responsible for the first FUSE system sales in the states of Indiana and Ohio. EndoChoice was recently sold to Boston Scientific. Sean received his BS in Marketing from Ball State University and resides with his family in Aubrey, TX. Travis Luther is a sales professional with more than 10 years of experience in medical devices, specializing in Interventional Gastroenterology and GI Imaging. Mr. Luther spent his early years with Olympus America holding the titles of Account Manager and Regional Sales Trainer. 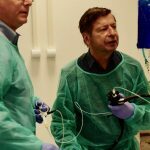 While at Olympus Mr. Luther was awarded the prestigious National Salesman of the Year award and was responsible for launching the first ever Metal Biliary Stent distributed by Olympus. Mr. Luther was also responsible for double digit growth in market share while with the company. In his most recent role, Mr. Luther was hired as the first representative in company history at NinePoint Medical, which specializes in Advanced Imaging throughout the gastrointestinal tract. Mr. Luther was responsible for the first ever sale of the NVision VLE platform, and was responsible for the commercialization and adoption of the technology and procedure. While with NinePoint Mr. Luther was named National Account Manager of the Year and was a President Club honoree. Mr. Luther last held the title of Southeast Regional Sales Director with the company. 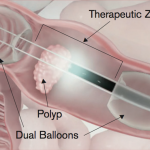 Mr. O’Connell, who lives in Joliet, Illinois, has more than 35 years experience in disposable medical devices and capital equipment with a strong focus in colorectal surgery. A multiple President’s Club Winner, Mr. O’Connell’s experience encompasses laparoscopic, endoscopic, minimally invasive procedures and pioneering new technologies. Over his career, he has worked for prestigious medical companies, including 3M Healthcare, Stryker Instruments, Karl Storz Endoscopy, Gyrus Medical and for the past fifteen years at Olympus America, Surgical Endoscopy. Mr. O’Connell earned his BA from York College, New York, NY and his MBA from Lewis University, Romeoville, IL. DDW17 – getting ready – Eric Coolidge, Peter Johann, Sean O’Hara getting instructed by the experts – how do things work – hands-on exercises. What are your thoughts about our new team members. Will you be attending #DDW17? Want to talk to us, just drop us a comment below, we will meet you. Have a question about our product, of course, we love to hear your question. Any other comments, questions, suggestions. Please leave a comment. We love comments and, of course, we will reply to you. I am very interested in employment with your company if you have a need for an experienced medical device representative who has specialized in the gastroenterology field and general surgery within GI arena. I would like to send my resume along with a list of gastroenterologists and surgeons throughout the Midwest who could expound on my sales ability and broad acumen within this market. Thanks a lot for this comment. Seems as if you had quite a bit of experience. 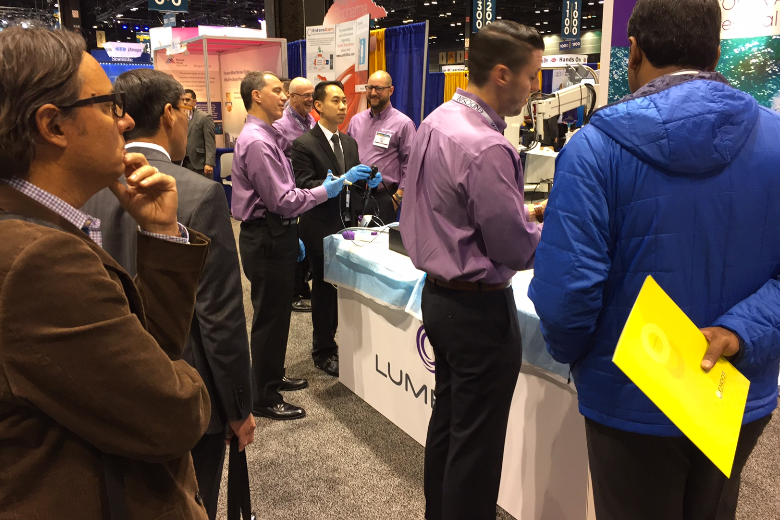 Maybe you attended #DDW17 in Chicago this week. If so I hope you stopped by our booth. Regardless, I have passed on this information including your phone number to our colleagues in the US to see if maybe we could develop something further out of your request or inquiry if you wish. Please let me know if it works, and if things fall between the cracks, give me a shout so I can follow-up again. Gives us 5 working days though to get this sorted out.